The diploma is the final stage of training. To get it, you must spend a lot of energy and have a lot of patience. But the crucial moment comes, when it comes time for protection. When the diploma is ready and it seems that the hard part is over, begins one of the most difficult stages: preparation of the defense. First and foremost, you need to prepare all the extra sheets for the diploma, then, posters or presentation. And most importantly - preparing the speech for protection. Opinion and review for diploma or graduation qualification thesis preparing thesis Director. These forms should be in a folder with a diploma. 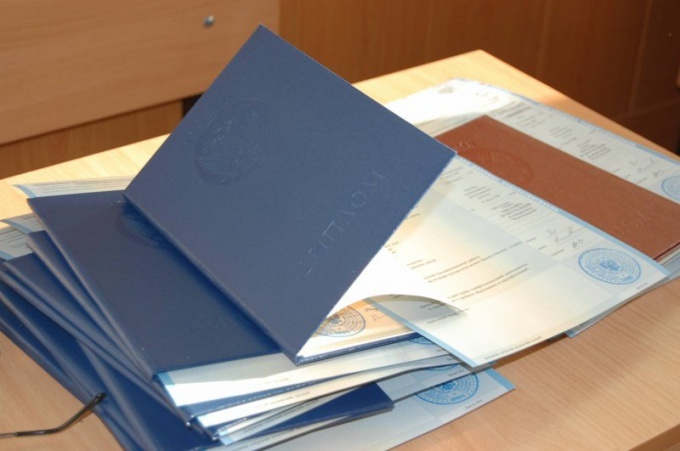 Proven diploma with all the documents should be listed in a specified time to the office of graduate design. If you do not pass everything in time, there will be no access to protection. So you should check in advance without waiting for the deadline. Now comes the turn of preparing illustrative material. It can be either posters, or presentation. Before you create you need to study the standards implementation. They should be the guidelines for the implementation of the thesis. Standard developed 6 posters and 6 sheets of the presentation. On the first poster in the upper right corner is the inscription "Poster 1". The rest shall bear the same inscription, but with a different number. In the bottom right corner put 2 labels one below the other "Performed____" and "Checked___". Beside the records shall be signed by an artist (one who is protected by this poster) and the person who checked the posters of the degree head. Usually posters are performed according to certain unwritten standards. Poster 1 is performed according to the Chapter introduction. Poster 2, 3, 4, 5 1, 2, 3 chapters of a diploma. Poster 6 - conclusions and recommendations. With this placement of visual information is the easiest way to tell them about the diploma. Posters are printed in a single copy. An additional advantage will print on A4 for each member of the attestation Commission. When the posters are ready, I start preparing the speech for protection. This should be a brief summary, telling about the work performed. Sure in the beginning of the speech to make: "Dear Chairman. Dear members of the state attestation Commission, student name group defense of diploma work ready. Allow me to begin". First and foremost, you need to specify the subject of the thesis, and then to note its relevance in the present time. Then begins a small story Chapter by Chapter. In conclusion, we need to talk about findings and recommendations. It must be associated with posters made earlier. To teach it it is desirable at least 1 week. Also preferably several times to tell it to someone close to you. Then not so will be terrible on the defense. The day before the designated protection you need to prepare all the material, so in the morning not to forget anything. Bring posters or a CD with a presentation pointer and handouts. Not worth repeating it all night. Better to be early to bed and to sleep. Is not necessary to drink any sedative. They inhibit brain function. It is better to calmly repeat material for protection. Before you go out, ask the group to help hang posters. Themselves engage in distributing material to members of the Commission. Don't forget to take a pointer, or handle. Stick the posters on your finger very ugly. And the subject in hand has a calming effect. Remember that none of the members of the Commission does not know the topic of the diploma as well as knows her defending. So you can be calm. Even if you have forgotten the text of the speech, it is possible to improvise on the basis of information posters. The main thing is to be confident. After the end of the speech maples Commission will try to fill up with questions. Can even say that the thesis is not consistent with the information in it. Defend your opinion, be stubborn. Because it affects the final grade. In any case can not be quiet, to get lost. Need to say something. And then a good score is guaranteed. Before protection repeat definition on the subject of the diploma. They may ask members of the Commission. Before exams worry. A diploma is no exception. Shouldn't exhaust yourself. In most cases, if the state exams, the diploma will be protected.